Liza likes her heroes packing muscles and her heroines packing agency. She got her start in romance by sneak-reading her grandma’s paperbacks. Years later, she tried her own hand as a ghostwriter of romance. 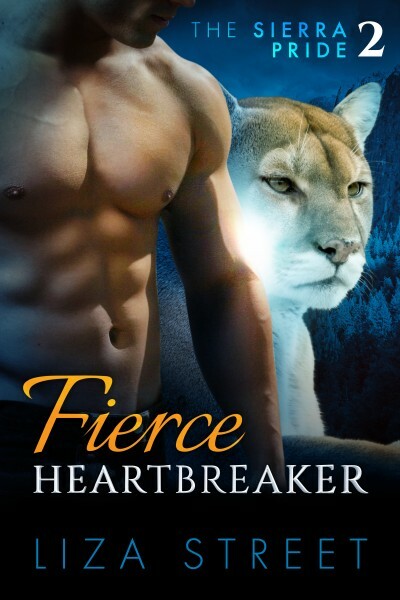 It wasn’t long before she started writing her own series, and now she divides her time between freelance editing, ghostwriting, and the mountain lion shifters of the Sierra Pride. Loved book one in The Sierra Pride, can't wait to read this one. Hera Watterson’s flight from her small town into the Sierras hasn’t gone unnoticed. The guys after her really want the evidence she’s trying to bring to Reno. Fleeing isn’t easy when her ex-fiancé is a drug dealer…and the chief of police. It’s even harder when her car breaks down and a super-hot guy with strange eyes starts getting into her business. Shapeshifter Blake Fournier has been wandering the wilderness for months, often coming back to stay at his family’s ranch for just a couple of days before heading out again. His inner mountain lion is bored and listless, tired of the routine of hunts, fights, and one-night stands. His first impression of Hera? Completely paranoid. But once he gets to know her, his lion only wants to wander into one last place: her heart.